A major game-changer in the world of conveying is being launched this month by Ammeraal Beltech. 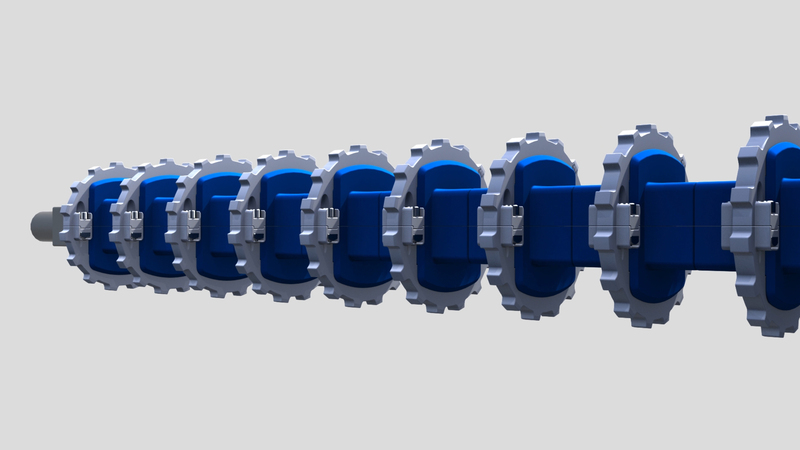 This leading manufacturer of process and conveyor belts moves into a new area of innovation with its new uni UltraFit Two-part Sprocket. Sprockets are crucial components in conveyor belt systems, and replacing them causes unproductive and costly downtime. At Ammeraal Beltech Modular, the drive to create innovative solutions that reduce maintenance costs and downtime has led to the development of the game-changing uni UltraFit Two-part Sprocket System with interchangeable adapters. 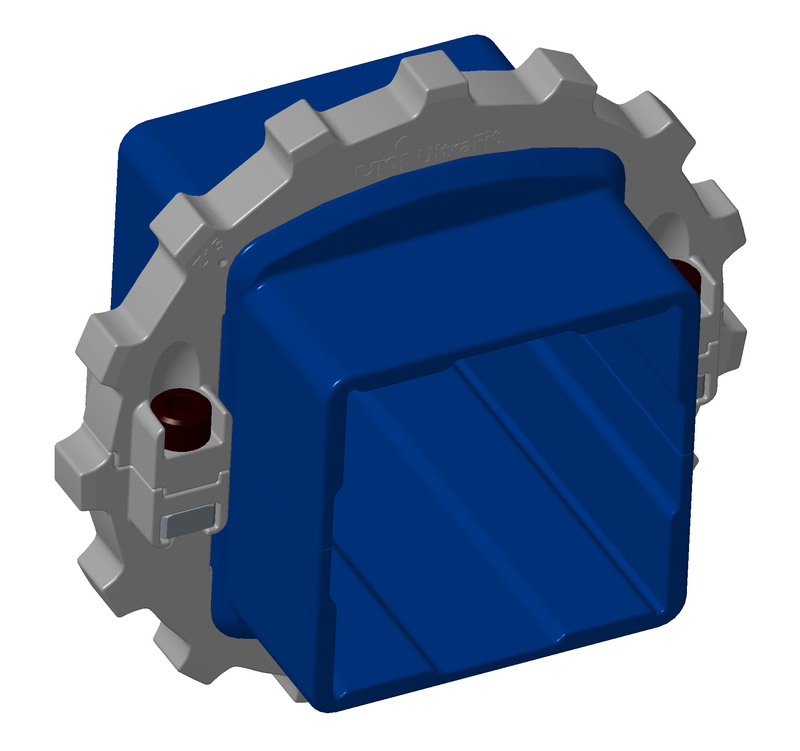 High performance, superior strength, and a long service life, coupled with reduced maintenance costs and downtime are the key benefits of the unique uni UltraFit Two-part Sprocket. Replacing a broken sprocket will no longer require complex gearbox and drive shaft removals. Due to its simple two part design, installation is quickly and easily achieved by just one person, with little working space required and no heavy lifting involved. The uni UltraFit Two-part Sprocket’s most unique and revolutionary features are its interchangeable ‘spacer’ adapters, which enable the sprocket to fit on a variety of drive shaft sizes. What is more, the adapters guarantee perfect sprocket spacing along the shaft and better belt-to-sprocket alignment. Importantly, as well as fitting existing Ammeraal Beltech belting systems, the uni UltraFit Two-part Sprocket range is compatible with other manufacturers’ belts. Initially targeted towards the corrugated board industry (with extensions into other industries already in the works), this concept represents a major engineering achievement and adds a new design and manufacturing specialism to Ammeraal Beltech’s already extensive product portfolio.